Ever see the fish fly? This fish is not just jumping out of the water surface but is also capable of flying up to 200 meters even together can form a formation flying as far as 400 meters. 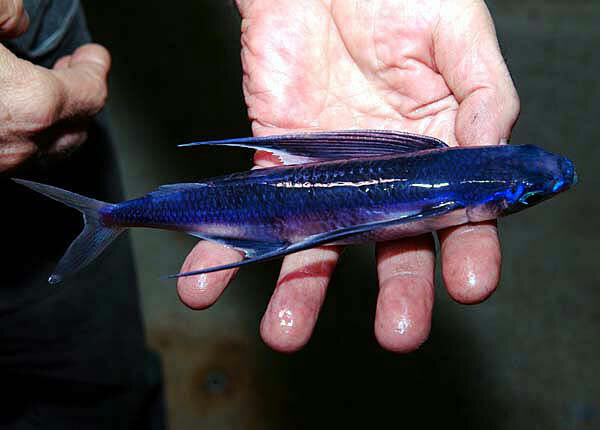 Beautiful Flying fish have fins large enough, approximately 30 45 cm -. Speed "fly" it can reach 60 km / h and a distance of 30 to 50 m, there is even an estimate can reach hundreds of meters, with the help of the waves. 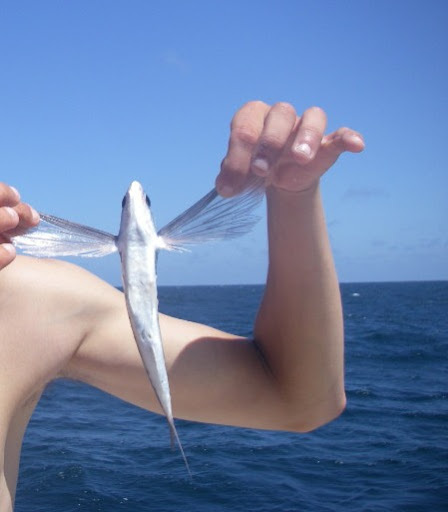 Record for the longest flight of flying fish is 45 seconds. Fly fishing using aerodynamic body to penetrate the surface of water at high speed and large fins and a strange function like the wings to keep it flying above the waves. Fly fishing is not really a flying animals, like birds, but only just floated. 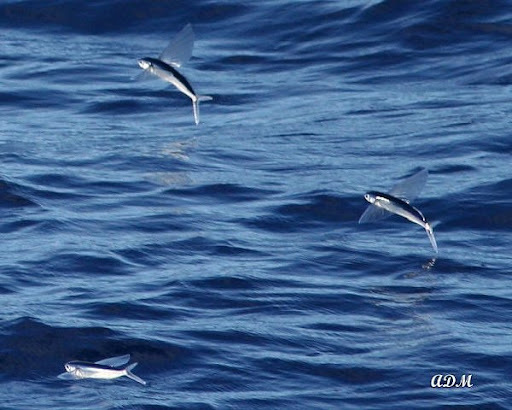 Flying fish can easily cover the distance up to 200 meters or more and can reach a height sufficient to - unintentionally - perched on the deck-deck ships. 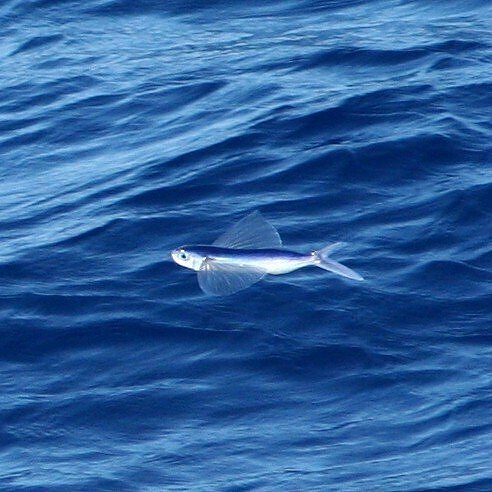 The first reason flying fish that have 40 or more of these species is due to fly to escape or avoid the action of the marine predators like fish mackerel, tuna, swordfish and marlin. However, this fish is also wary of the threat of bird beak above it, in addition to these fish are also being hunted by fishermen in Japan and Barbados for the meal. Mechanism of how these fish can fly too simple. Initially they will be accelerated in the water until it reaches the speed of 70 km / h assisted by flapping their tails. 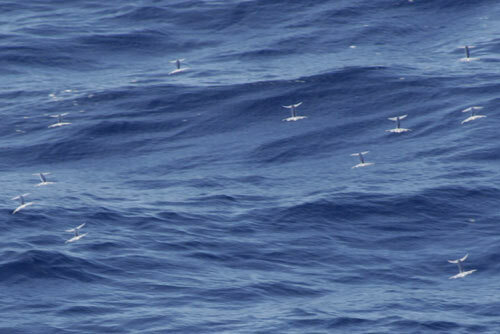 Once they jump on the water, fins-flippers will expand and take advantage of the wind to gain altitude. Sometimes they thumped his tail to keep the high jump and change direction. In several species of flying fish wings on the chest also assisted in the rear wing, so the four wings of this kind beratraksi greater in the air. 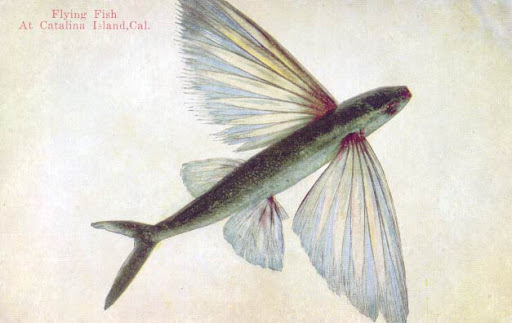 Although his flying ability is not far away, flying fish can fly together, with a unique formation for a distance of up to 400 meters.